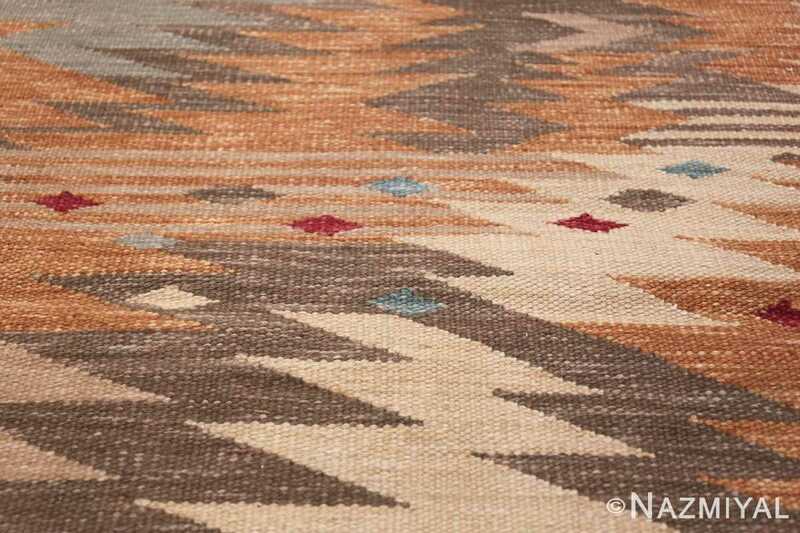 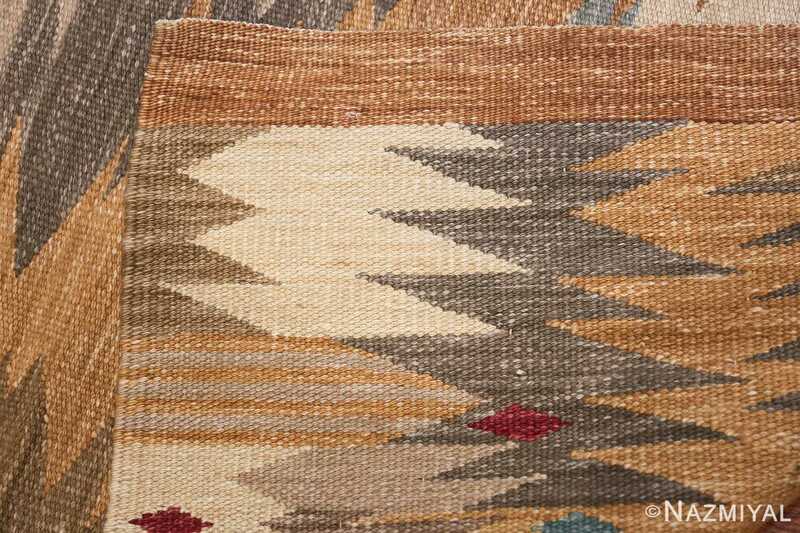 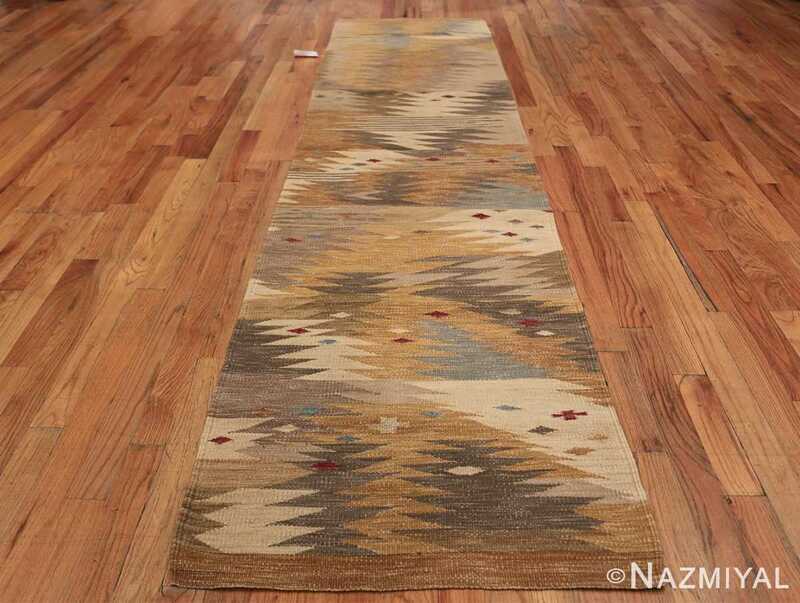 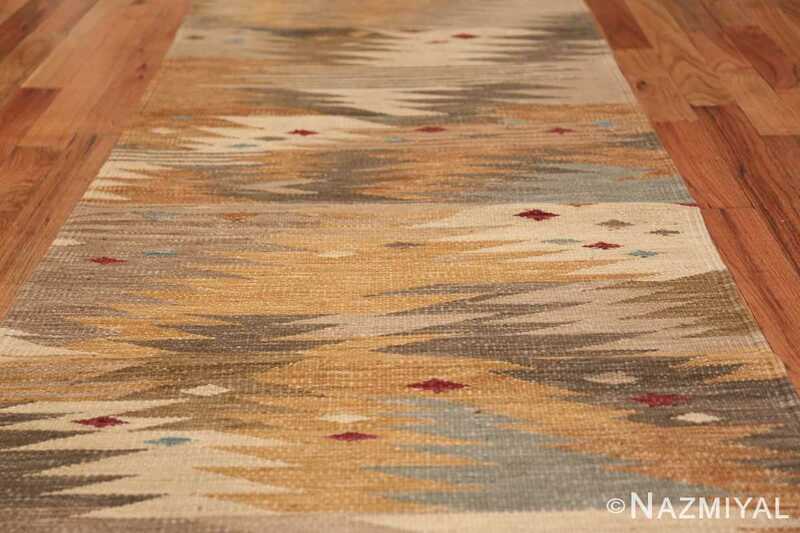 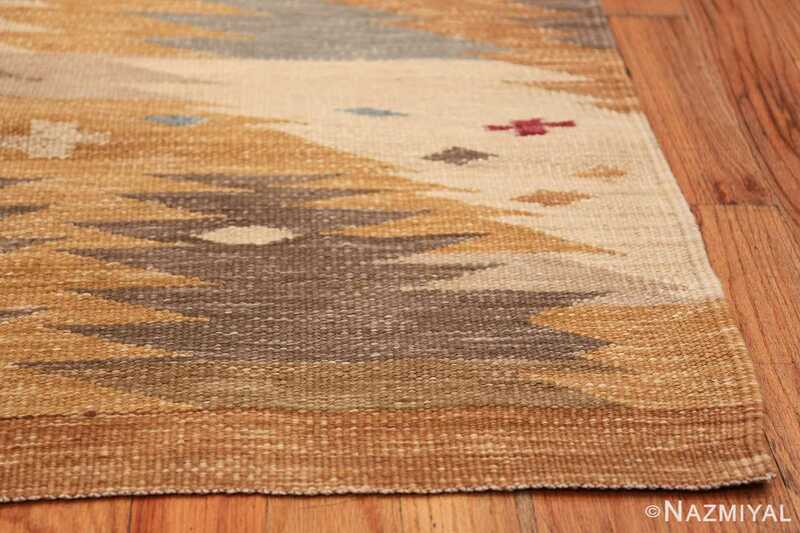 Beautiful Vintage Scandinavian Inspired Indian Kilim Runner , Country of Origin: Sweden, Circa Date: 21st Century – Striking hues of gold and brown provide the bold base of this Modern sophisticated Vintage Scandinavian style runner rug. Inspired by the sleek sensibility and modern geometry of traditional vintage Scandinavian rugs, the rich hues and stunning contrasts of this piece ensure a singular statement piece. 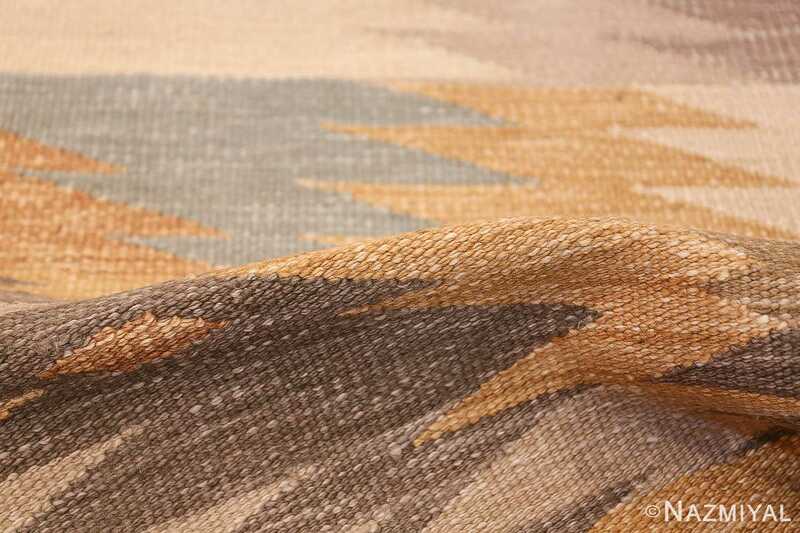 Bold, abstract geometry defines this intriguing artwork. 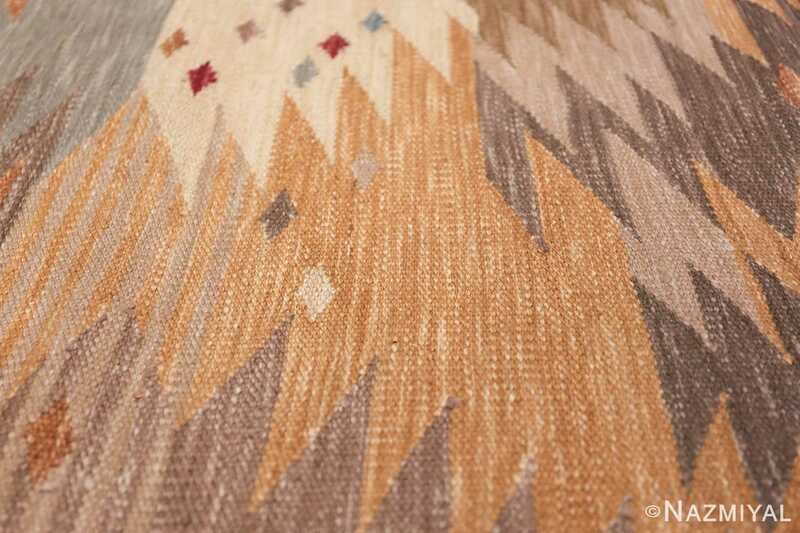 Jagged lines and contrasting shades of gold, brown, sand, and grey evoke the sense of mountain peaks and rolling autumn meadows, while the vivid bursts of color found in the abstract diamond patterns suggest blossoms along the slopes. Bearing sophisticated modern geometry while preserving the wild loveliness of nature, strikingly colored yet sophisticated enough for any living space, this bold, elegant modern rug is a singular artistic statement.